A Christian couple in Australia has pledged to divorce if gay and lesbian couples are allowed to marry. 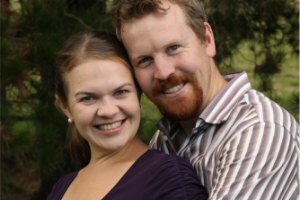 Sarah and Nick Jensen said in a lengthy public letter that they would divorce if lawmakers approve a proposed bill that would allow gay couples to marry in Australia. Nick Jensen, director of the Lachlan Macquarle Institute, which fosters “a greater appreciation of the relevance of a Christian worldview in public policy,” said that his high school sweetheart is the only woman he has ever loved, but that the law's change would force them to seek a divorce after 10 years of marriage. “As Christians, we believe marriage is not a human invention,” Jensen said in the letter. Jensen added the he will remain with his wife, married in God's view.